I spent 15 years at Bunzl, a FTSE 100 company, working with clients such as Starbucks, who we helped set up in the UK, Europe and Australia. I worked my way up to a business development director role while also doing an MBA. I was moved through different roles, giving me a grounding across the board in commercial, finance and operations. Then, after a few years running private equity-backed businesses, I hit 40 and had a midlife crisis! I’d always loved fitness and was very into triathlon, and decided to do something in this field. At this point I met Humphrey Cobbold – now the CEO of PureGym, but at the time he was CEO at the online retailer Wiggle. Their range for women was dreadful and I wrote to tell him and offer my help! But the time to come on board with Humphrey came a few years later, after I’d spent two years as commercial director at retailer Snow + Rock. He contacted me about the role and it ticked all the boxes. That was three years ago. What drew you to PureGym? First of all, it’s a great proposition – a way to get more people active – and that really appealed to me. In the past, it had always been about paying monthly fees and then feeling guilty if you didn’t go. 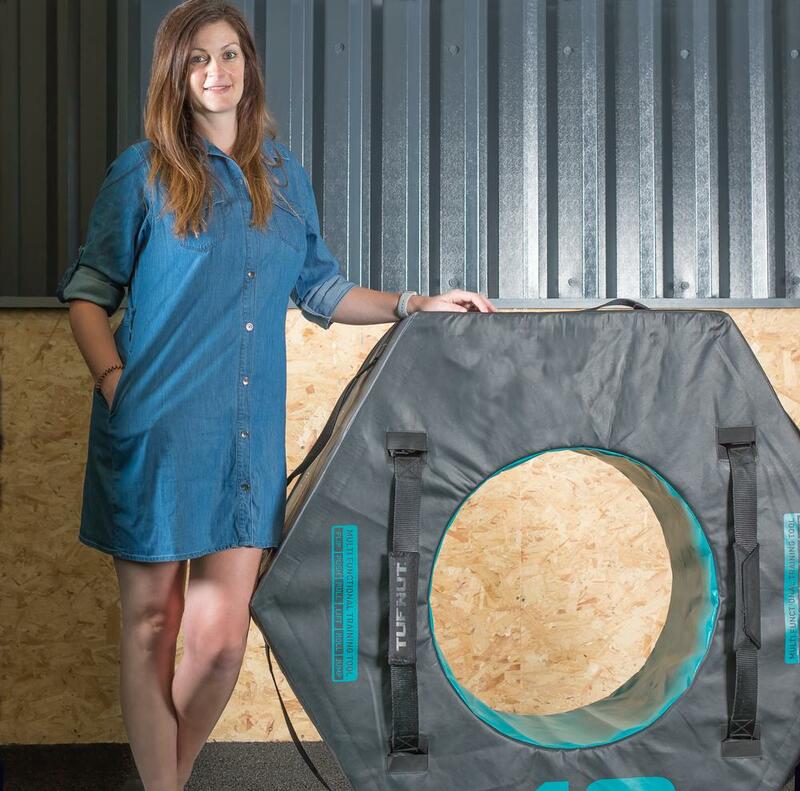 The budget gym model was different: with no contract and low fees, why wouldn’t people try it? They could always leave if they really didn’t like it. I saw it as a great new way to attract more people to the gym and into exercise. Secondly, it was a dynamic company with big ambitions, and I love that sort of working environment. I thrive off the tasks others think impossible. I get to do the fun stuff, developing the PureGym proposition. I take on board what’s new in the market and look at whether we do a disruptor job on it, develop it more, or absorb it into our existing model. 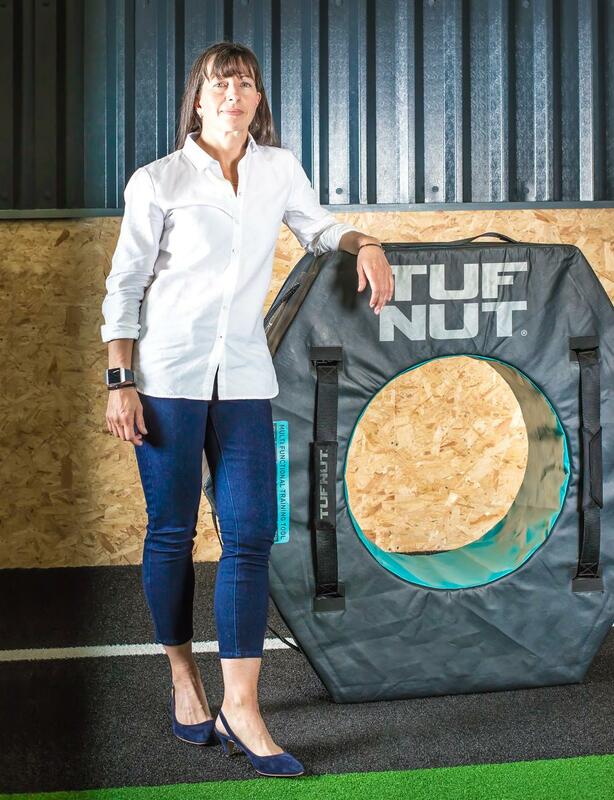 It’s about new formats and propositions, digital innovations, new products we can bring to our gyms that members either haven’t been exposed to before or that will improve their gym-going experience. But it’s also making sure our existing revenues outside membership income are maintained, grown and refreshed. Keeping up with the pace of change and making sure we’re focusing on the things that make a difference: my job is to ensure we’re making the right decisions. 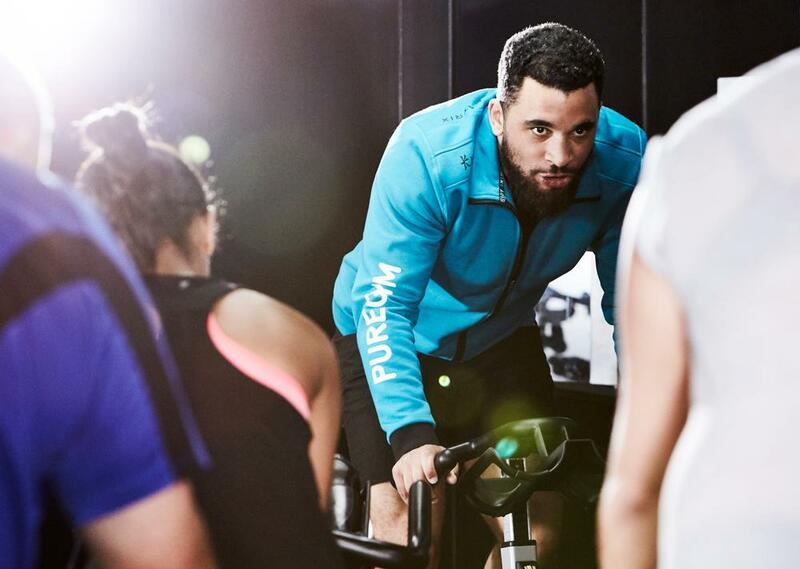 It’s also a challenge to consistently deliver innovation across 200 clubs (and growing), but we’re fortunate that PureGym’s size and financial position allows us to be entrepreneurial. I can trial a new concept in a handful of clubs, then extend it to 30 sites to refine and test, making sure it’s perfect before I hand it over to my operational colleagues to roll out. Alternatively, we can develop a completely new concept by building a couple and seeing if they work. Nearly all our classes use live instructors, but at the Oval in London, we have a new high-spec virtual group exercise studio and it’s doing brilliantly. Members love the space, especially women. They actually like the fact they don’t feel pressured to keep up with an instructor. Members are already used to following programmes off their phones, so it’s been received very well. I think we’ll see a lot more like this over the coming years. We’re trialling bolt-ons too: a flavoured vitamin water called Yanga and hydromassage beds to promote relaxation and post-workout recovery. We’re still experimenting with whether to sell these as standalone products or as part of a premium membership. We’re also introducing functional training areas. These offer gym floor classes that are proving popular – people can see a class going on and decide if it’s the right level for them to join in next time – as well as providing a great space for independent training and stretching. We launched these functional areas as part of our new small box gyms, but will now be introducing them across our larger clubs as we refurbish them. What are your small box gyms? Our large-format clubs require a high population density, so we decided to create a model at 5,000–8,000sq ft – about a third of the size of a standard club. It wasn’t just about taking the PureGym model and cutting it down, but about creating a brand new proposition with new floor layouts and flexible space. These are vibrant, friendly, local gyms, with semi-open studios, inviting usage when no classes are running. The back office is minimised too, with the desk on the gym floor, so the staff are there to help. We’ve launched two so far – Tunbridge in January 2018 and Buckingham at the end of April – and we’ll open a few more this year. However, it’s still at the stage where my team and I are fine-tuning the model, so we won’t hand it over for a more rapid roll-out until next year. I’m very proud we’ve been able to take this step to a community level. There are a few things we’re looking at. The first is a new app, with the initial phase already introduced and the full version due out by the end of this year. We’re also exploring the idea of a female-only proposition off the back of research we carried out among female members and non-members. These concepts have been successful in Germany, but not in the UK so far. It may not turn out to be right for the market, but it’s something we’re exploring. Tell us about your potential healthcare partnerships. We have a relationship with AXA PPP, providing subsidised gym memberships to its private medical insurance clients. AXA is switching its focus from treatment to prevention, encouraging people to stay fit, not waiting to get ill. The company is a great partner and we’re seeing an uptake in the tens of thousands in terms of new members. It also introduces our concept to a new, older audience; the majority of our members are under 35-years-old, while AXA customers are older. We’ll be more international, but we’ll also be promoting a wider wellbeing offering alongside the gym. As the biggest player in the UK, I absolutely believe we can inspire a healthier nation. In fact, I believe we should be doing as much as we can to help achieve this goal. I spent 17 years in retail, with my formative years at Aldi – a business that has similarities to PureGym. Both were disruptive in their respective industries, with new discounter models that represented fantastic value. Aldi’s story of disrupting the big four supermarkets is similar to the way PureGym has challenged the likes of Fitness First and Virgin Active. There are also significant differences between retail and fitness. The fitness industry is very welcoming – people genuinely want to help and I find that attitude very refreshing. There are four key aspects, the first being the leadership of 214 clubs, including the 10 Soho Gyms clubs acquired in June. This encompasses the member experience and financial performance, as well as fuelling the company culture. There’s a positive culture already, but I want to build on that to make this the place everyone in the industry wants to work at. 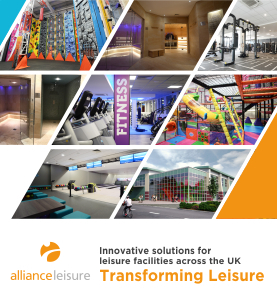 The second is development of the product – to look at how we stay ahead of the trends to ensure our equipment and gym layouts reflect the way people want to train; what equipment we buy and how we zone our clubs; how we evolve group exercise to consolidate it as a USP, boosting the community atmosphere it engenders and enhancing our offering for women; and how we structure personal training to attract the best talent and ensure it remains the optimum model as our estate grows. Third is our reinvestment programme. The business is just over eight years old, so we’re refurbishing clubs. We also have what we call ‘Opportunity Clubs’ that we feel are worth refurbishing sooner. The way people train now is different from eight years ago and our clubs must reflect that. I think we’ll have 50 locations by the end of this year that have been refurbished to include the functional zones Francine was talking about; we may need to look at a new investment model to roll it out faster next year. As soon as a new concept is ready, it goes into BOLT. I never want to open a club today that’s exactly like one that will open in six months’ time. The PureGym model will never be static. And finally, the fourth aspect of my role is facilities management – maintaining the quality of the clubs. When is a new concept ready? It’s very easy to hotbed an idea in a few clubs, getting local teams excited and on-board. It isn’t so easy to get 214 managers super-engaged and bought into the fact a new concept is now part of the offering. That’s why we introduced a new stage in the process: moving from single-site trials to regional trials, allowing us to test an estate-wide implementation process. What support does the team need to make it a success? We ask how much of their time the new concept is taking up, and what this means when it comes to rolling out multiple new ideas simultaneously. How does fitness differ from retailing? In retail, Saturday is your busiest and most important day; for us at PureGym, it’s Monday and Tuesday evenings. ‘Being at our Best at our Busiest’ is a framework we’re driving, ensuring our clubs are ‘reset’ ahead of these times to drive the member experience and retention. Each club has three ‘resets’ a day. Clubs decide when these should be, but ‘reset’ ensures they’re back on-point from a standards perspective, with PTs firing on all cylinders, the best group exercise going on, and the team having fun with members on the gym floor. I joined in October 2017 and to date, my focus has been on leadership of the 214 clubs. I’ve brought in a new senior operations team who report to me, all of whom have also come from retail. These are people with the experience of running 500+ locations, who can be ready with the systems, processes and procedures we need to underpin growth. Having this retail-scale experience in the company is vital. It complements the fitness expertise that already exists. In addition, the new team brings with it an understanding of how to inspire and communicate across a business of our size, where you’re unavoidably more remote to the teams on the ground, but where you still want to be visible. Their insight is allowing us to ensure our teams know what to do, and when, so we land a new idea right first time. It’s about managing expectations and helping people understand where to focus their time, without removing entrepreneurial flair at a club level. In addition to the new senior operations leadership team, I’ve restructured the field teams to create two tiers: regional managers and cluster managers. Cluster managers manage their own club and four or five others nearby. Regional managers look after 20–25 clubs, with cluster managers reporting to them. This ensures we’re developing our own talent and offering career progression; and it allows for faster decisions to be made, with new ideas implemented via cluster managers to speed up execution. We want to get to the point where at least 80 per cent of all appointments are made internally – this will secure the business moving forward. We know from experience they’re the best people for the job, with no element of risk, and it’s also great for our team: as an operations director, there’s nothing more rewarding than seeing people realise that both they and their development matters, and that they’re in the right place to achieve their goals. We’ll surpass 250 clubs next year, with an enhanced group exercise offering in place from this September, and a series of different personal training models according to the location and profile of the club. We’re testing all these now. In five years’ time, I see us being closer to 500 clubs than 400: there are so many UK towns we don’t have a footprint in that our small box format will allow us to go into, and the issues retailers are facing means there’s a lot of available space when it comes to the property requirements of the business. There’s opportunity internationally too, in Europe – and possibly the US. As the largest private sector operator in the UK, it would be a shame if it wasn’t us who took that opportunity. I’ve worked in HR for 16 years, in retail, the pub trade, and then leisure for the past 10 – with LA Fitness, before moving to PureGym when it acquired LA in 2015. Those 10 years have given me valuable insights into what drives those who work in fitness, how they react to change and what they want from their careers. How hard was it to integrate PureGym and LA Fitness? It was tough. Although LA Fitness was struggling, everyone was still invested in it. It helped I’d been at LA for seven years: the team had seen me go to Pure and it gave them confidence they’d be looked after. When there are fewer team members, as happens at PureGym, you have to be even better at what you do. At an LA Fitness club, we’d have 2,000 members and 20 employees. 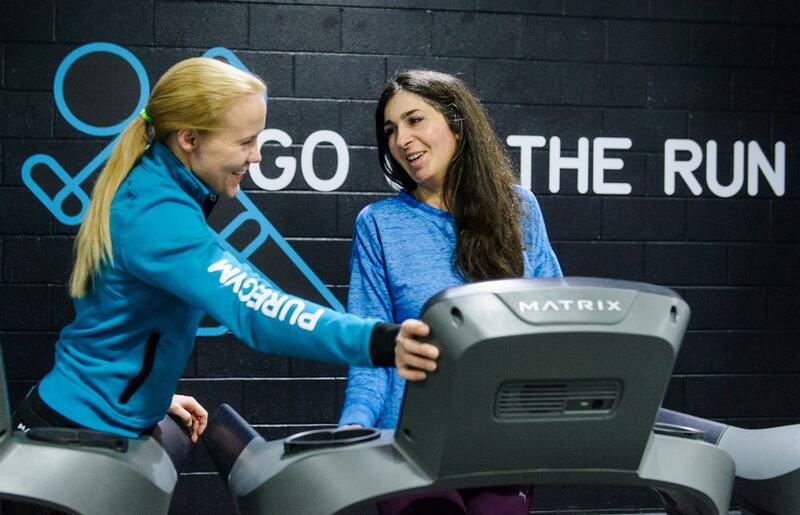 At PureGym, it’s 5,000 members and two employees. Those two staff members have to be really service-driven and creative in how they use resources and how they build relationships with members. I’m fascinated by their ability to personally impact such a large number of members, knowing their names and fitness goals and interacting with everyone. But then, we recruit people who have a service mentality, and we provide strong support for them. 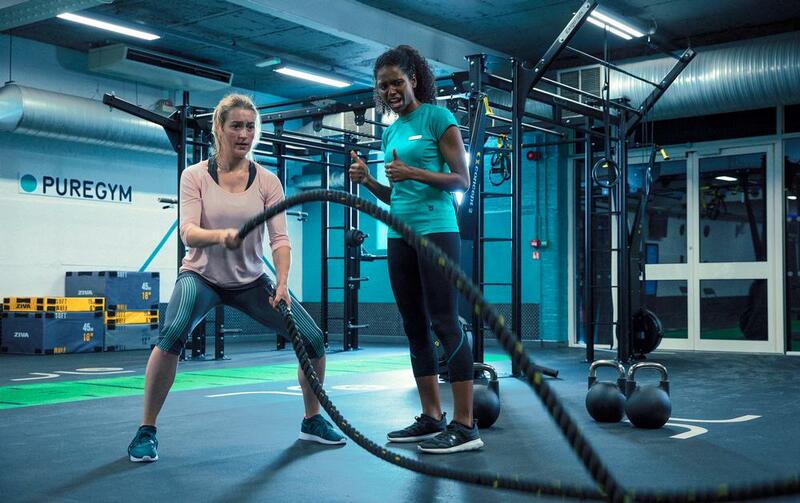 In a way, the LA Fitness acquisition was part of a perfect storm in 2015 – a year that saw PureGym open 35 new sites of its own, carry out a few other smaller acquisitions, and make a number of senior appointments – including a new CEO in Humphrey Cobbold. 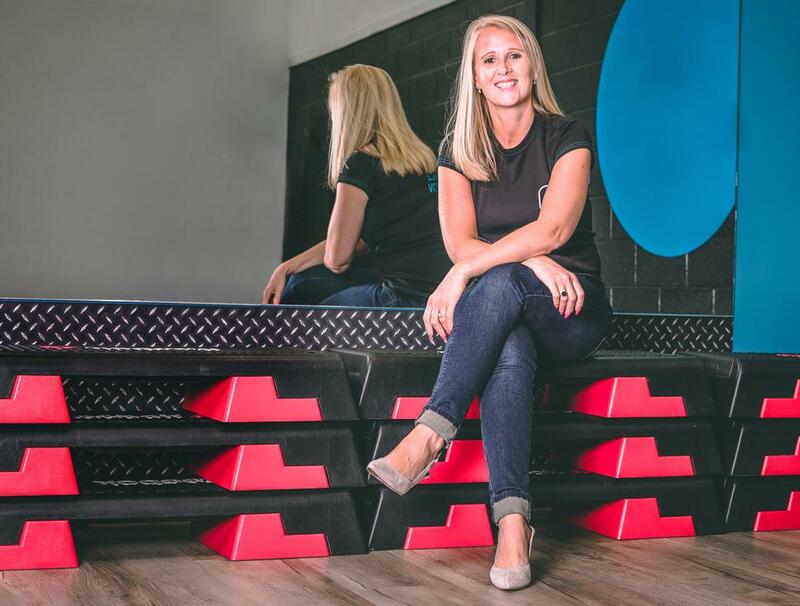 In the process, the feel of PureGym shifted from that of a small family business to a bigger, more professional organisation with a clear game plan. How did you manage the shift? The first goal was to define PureGym’s culture and values, to ensure we were bringing the right people on-board. 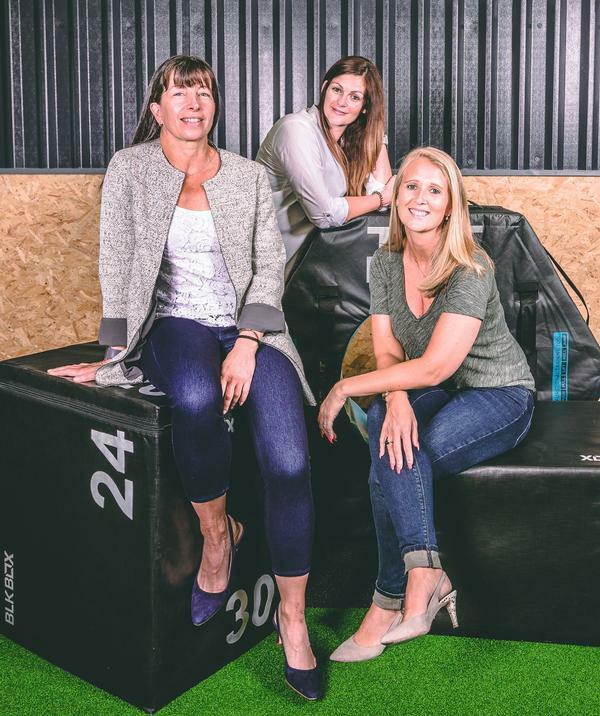 PureGym’s company culture is a powerful one: it’s inclusive and forward-thinking, competitive and a load of fun. We want to delight our members, play to win and sweat the details. We work shoulder-to-shoulder across the business and we keep moving forward, aiming to do things before everyone else, or if not, then to do things better than anyone else. There’s always more we can do: I’ll never stand back and say “we’ve cracked it” when it comes to our culture. And it is a ‘we’ – I can’t be solely responsible for the culture of the business. No one person can or should be. It has to be a broader responsibility which is shared. However, although culture is a very personal thing and you’ll never be able to please everybody all of the time, in our recent (anonymous) employee engagement survey, the final question was very simply: ‘How happy are you at work?’ – and just over 80 per cent of all our employees scored between seven out of 10 and 10 out of 10. We invited honest feedback. We told all employees we knew we weren’t perfect, but that we want to make PureGym as good a place to work as possible, and that we can only change things if they told us how they felt. One of the main concerns they voiced was the question of how they can showcase themselves and stand out and progress in a business that has got so big. This was a key factor in bringing in the two-tier structure Rebecca spoke about: our regional managers help us identify those who stand out, mapping clear career paths for those individuals. In a word, carefully. Ours is an incredible business – inclusive, full of people who want to help each other in work and life, all about getting members fitter and healthier. It’s genuinely rooted in the greater good and that’s so rare. As a result, people become very invested in it. They feel it’s their own. That’s fantastic of course, but it does mean you have to be careful when you implement change, taking the time to explain what you’re doing and why. It doesn’t matter if it’s changes to the team or a new investor coming into the business – it feels personal to people. There’s a fine line to tread of course, but it’s important that everyone feels informed and involved. We’ve placed a strong focus on internal communications and team engagement, appointing a specialist manager to oversee these efforts across the company. We make sure everyone feels connected to the people leading the business, with regular emails and pieces to camera from the likes of Humphrey – including out-takes, because it adds a human touch! We also use Workplace, which is a bit like Facebook for business. It lets people chat and share ideas, makes them feel part of a team, and gives scope to have some fun at work. It also allows the central team to give recognition and praise in a personal, human way – nothing too corporate. HR as a department has been transformed, shifting from an admin role to encompass communication and engagement, learning and development, traditional HR, and resourcing. We’re now an ILM-accredited centre offering three different levels of ILM qualifications, bespoke to PureGym and covering everything from starting out on your management journey through to regional management. We also fund or co-fund team members through professional qualifications based on business cases they submit. We’ve also done quite a lot around personality profiling to better understand each other and improve team dynamics; this has had learnings for personal trainers too, in terms of how to approach different profiles of member. The next step for me is to introduce more virtual learning to make it easier for team members as we grow. Next, we’re going to work on staff benefits that help when people’s lives changes for better or worse. We want to put more relevant benefits in place: more flexible working options, for example, which should be possible within our 24/7 model; and improved training. Being more flexible around people’s lives will mean we attract a broader diversity within our workforce – which in turn will mean we appeal to a broader audience of potential members. Do you deliver on diversity? So many businesses suffer from not being diverse enough, and it’s a fact that the conversations we have in our board meetings wouldn’t happen if the board was all male. Having varying opinions really does make a difference. But although the management board is half female, the profiles of those applying for middle management roles doesn’t reflect that same diversity. I don’t know why at the moment, and I hope we can address this as we grow. In the end, it doesn’t matter what innovations you introduce as a business. Without the right people in place, everything else fades away.